Issue: customer said that he is unable to connect to his new physical vCenter server which was working fine few days ago. 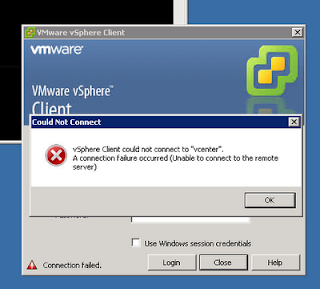 checked the VMware vCenter service and it was stopped. 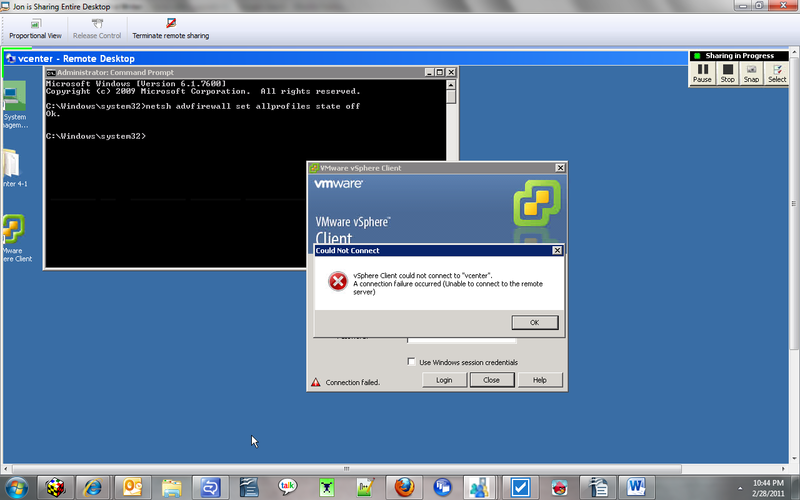 Started the vCenter service but no go. In the vCenter service properties used a specified account for login but no go. Customer said that he has not rebooted the vCenter server. 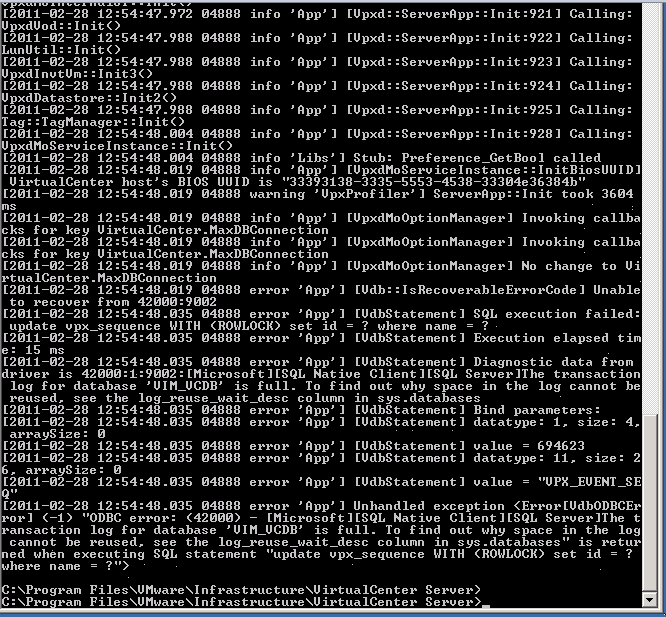 when he attempts to log into the vCenter server using the vSphere client. Customer said that Wednesday was the last successful login. 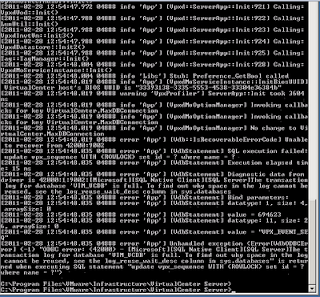 made the sqlserver as the dependency service for the vCenter server service to start and rebooted the server and tried to relogin but no go. When checked the services.msc the service was still starting but later it failed to start and manually starting the service did not help us to relogin but it yielded the same result. 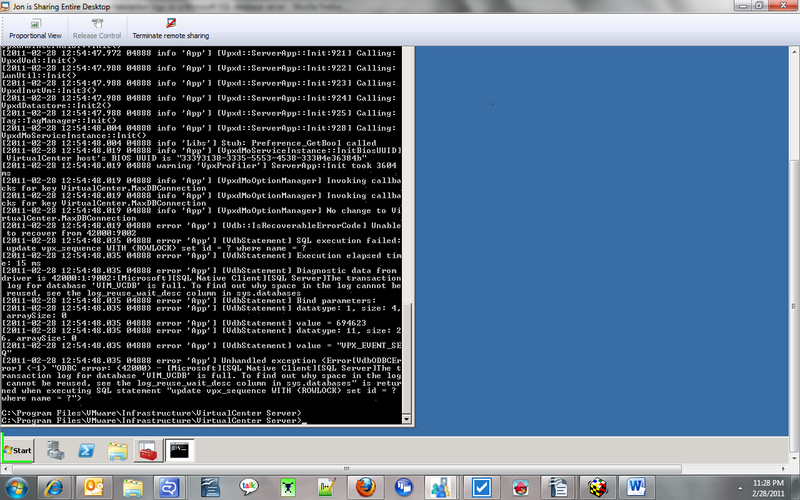 and it came up with the error that the transaction log is full. Disabled UAC and tried reinstalling it but no go.